A group of Toronto surgeons is using Kinect not to play games, but to help examine and manipulate crucial images when lives could be on the line. In today's installment of the "Kinect is Really Useful for Everything but Playing Games" chronicles - sorry, today's second installment - surgeons at Sunnybrook Hospital in Toronto have repurposed Microsoft's special camera to allow them to manipulate medical images without ever needing to leave the Operating Room. You see, surgery is a very delicate business. Sometimes, you need to consult your data - an MRI image, or a CT scan - to get a better look at the location of a tumor as opposed to healthy tissue, and that's just one example. Unfortunately, the area around the patient in an OR is supposed to be completely sterile. This means, that every time a doctor leaves the sterile field to check on images, he or she needs to go through a lengthy re-sterilization process that can take over twenty minutes. According to Sunnybrook's Dr. Calvin Law, these interruptions can often add an hour to any serious surgical procedure. That's valuable time that could be better spent saving lives or working on more patients over the course of a day. 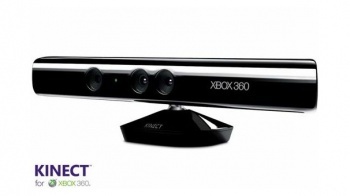 Enter the Kinect. Using Microsoft's motion-sensing peripheral, doctors can rotate and freeze images and zoom in or out - without ever leaving the sterile zone or the operating table. Not only does this eliminate delays in getting the operating team re-sterilized, said Law, it has the advantage of keeping everyone focused on the task at hand since their concentration isn't being broken. He compared it to a GPS system in a car, which allows the driver to navigate without stopping. The idea to utilize the Kinect in surgery came from a trio of engineers - Jamie Tremaine, Greg Brigley and Matt Strickland - who worked with doctors to create command gestures that could be used in surgery without "compromising" the procedures. Presumably this means that the command for "zoom in" isn't a sharp, downward stabbing motion with scalpel in hand. Kinect has been successfully used in six surgeries thus far, said Law, and Sunnybrook plans to expand its use to other parts of the hospital.